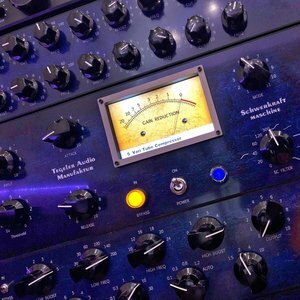 In this article I want to share my processes for preparing music mixing sessions that I have developed over the many years working as a professional music producer. You can find an online music production tutorial video here that shows how I prepare a mix in Pro Tools with audio stems. Mixing is a creative stage that I find many people are very quick to jump head first into without any preparation done. The types of individuals that do not prepare themselves or their sessions are the guys that ask me time and time again to why their mixes come undone early on and how they can salvage them. I believe preparing yourself and your mix sessions to be a lot like cooking for your friends and family. You want the end result to be well presented, taste good and enjoyed by all. This can all be easily achieved if you know what you want to cook, have the correct ingredients to hand and most importantly the want, desire and creativity to express yourself through your skills. Every time I approach a mix I first make clear to my clients that there will be no more tracking and recording of instruments. This switches my mind from the arrangement and music production stages so that I can focus my attention solely on the job at hand… mixing. The first technical thing I do is to increase the H/W buffer size in my playback engine so that my digital audio workstation, Pro Tools in this case, will operate at it’s best for handling the mix process ahead. I will sit in my listening position between my monitors and play a handful of songs that either I like or have been given as references. Now I have the opportunity to set my monitor volume to a comfortable listening level, that I will leave in place throughout my mix process. This is a stage that should not be missed as I find it gives me a chance to warm up my ears. It also helps me to settle into the style of music I am about to work on. Being able to use all the available navigation properties in your DAW will enable you to move around your session quickly, freeing you to make intuitive choices by limiting the need to constantly search around for parts. Spending between 15 to 30 minutes organising tracks into a familiar order using colours and names saves so much time in the mix process. The aim is for each session you work on to look and feel the same each and every time. Setup auxiliary tracks and effect sends on every track so that you will not have to break your creative workflow setting these up later. Use plug-ins that you know how to use and instantiate them ready on the tracks, again eliminating the need to break your creative flow in the mix. Ensure each track has a good amount of headroom and that nothing is clipping. Trim and clean any audio clips that have unwanted noise in. I do not consider vocal tuning or time correction processes to be a creative task. I view this as a post process, meaning post production (after tracking) or pre mix (before mixing). My interpretation of "post production in music" relates to the stages of repairing, fixing and correcting musical parts before the process of mixing. These tasks can often take a long time and be very tedious. Breaking your creative flow for correction processes within the mix stage can easily distracts your ears from the bigger picture, the mix as a whole. Mix Planning & Time Management. When mixing client material, or my own music for that matter, I find setting deadlines a key factor in success as it helps me to move with the mixing process rather than become a slave to it. It is very good practise to take notes when listening through rough mixes as then you can plan and prioritise your immanent workflow. Not having a “To Do” list can hurt your mixing process as by not having a list of tasks to complete can lead you into the trap of tweaking broad aspects throughout the mix in pursuit of the perfect end result, an end that can be very difficult to realise when no preparation has been created, nor plan to work from.